Local love is the best kind! Here's a look at some of our recent press hits and collaborations featuring Gossip & Glamour clients. 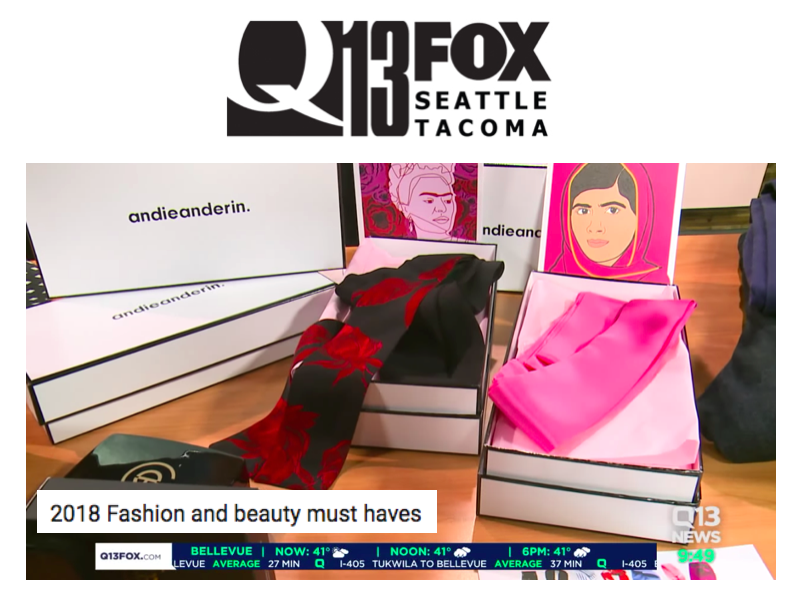 King 5's Evening Magazine recently shared the Andieanderin story with viewers and fashion fans all over the city were instantly intrigued. 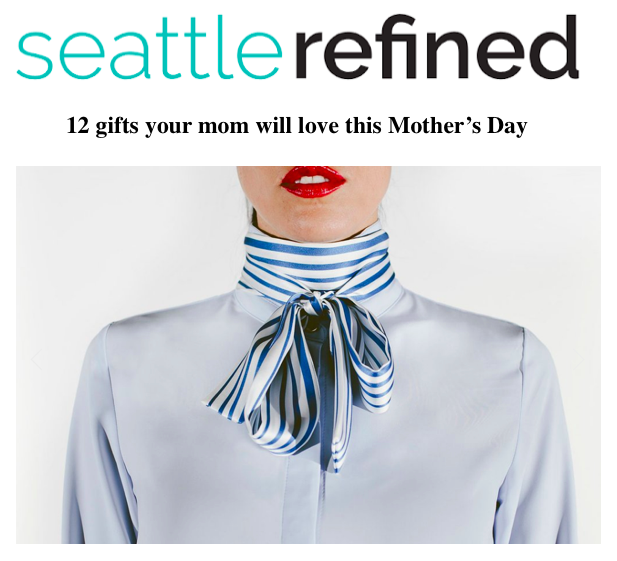 This Seattle-based fashion accessory line pays tribute to influential women, both past and present, through their line of 100% silk neckties. Featured women from the debut collection include Oprah, Beyonce, Malala, Frida Kahlo, and Michelle Obama. Check out the full clip from Evening Magazine here. You can also learn more about this fabulous local brand by visiting their website at www.andieanderin.com. Gossip & Glamour clients have received MAJOR love this holiday season. Click on the images below to view the full guides. 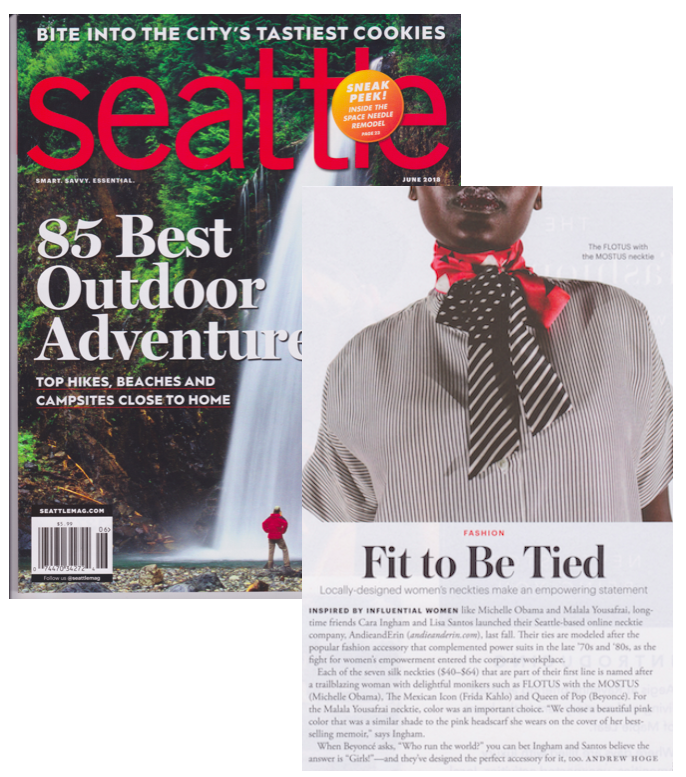 Gorgeous global jewelry from JJ Caprices is featured in the current issue of Seattle Met Bride & Groom magazine. Styled by Lauren Schugar with hair and make-up by Melissa Korn, the "Art of Love" shoot features flower crowns and oversized bouquets paired with modern romantic jewelry. Photography by Kevin Focht. Featured jewelry includes Druzy Quartz rings handmade in Turkey, chandelier earrings by LK Designs out of Israel, and "something blue" statement earrings by DUBLOS in Spain. Buki, the innovative sportswear company infusing nanotechnology into apparel and accessories for men and women, has announced an extension of the lease on their downtown Seattle pop-up shop. The store located at 1826 Sixth Avenue will now remain open through April 2017 and maintain the full Buki collection of merchandise including limited-edition items like blankets, scarves, and branded gift boxes. Founded by designer Joey Rodolfo, Buki is leading the wardrobe revolution of the future by incorporating proprietary fiber technology into thoughtfully-designed clothing for men and women. The collection is composed of 7 technical fabrics that use Kinoki-3.0™ technology for a variety of added benefits including moisture management, dynamic stretch and recovery, breathability, easy care, and supreme comfort. Designs are classic, tailored, and most importantly, seasonless. Experience a modern take on minimalism at the Buki pop-up in Seattle running now through the end of April. A full list of nationwide Buki stocklists is also available at bukibrand.com. The Buki Pop-Up is located at 1826 Sixth Ave. Seattle, WA 98101 / Hours Tues. - Sat. 11 a.m. - 6 p.m.